Doolin is a thriving centre of culture. The community has ensured that its roots in art, music, culture and heritage are cultivated and encouraged and its rich traditions are clear for all visitors to see. Those interested in history are invited to take part and immerse themselves in Doolin’s culture on the Heritage Walking Tour of Doolin. Over 2 routes, participants have the opportunity to experience Doolin’s geology, folklore and anthropology as well as information on historical figures, painters and writers who visited Doolin in times past. 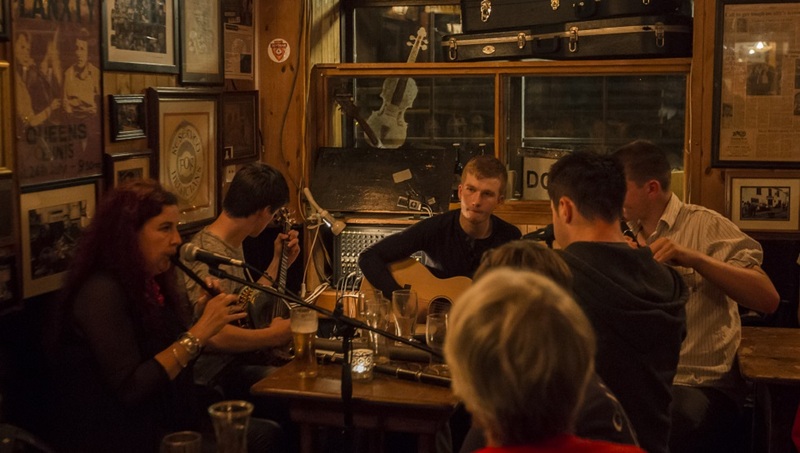 The rich tradition of music, art, history, heritage and culture all weave together and create a special atmosphere in Doolin. You feel it when you arrive, there is a magic in the air, where colour and creativity thrive and above all, are celebrated. Another feature of Doolin’s annual calendar are the festivals which celebrate the village’s cultural life. Doolin’s Writers’s Weekend attracts writers from all over Ireland and further afield to Doolin to hone their craft and to hear from experienced writers speak over the course of the weekend. Doolin has long been associated with the arts, providing inspiration for musicians, painters and writers. Many famous writers have visited Doolin, including JM Synge, George Bernard Shaw, Dylan Thomas and JRR Tolkein. In fact, it is said that Tolkein may have been influenced by his visits to the Burren when writing Lord of the Rings.